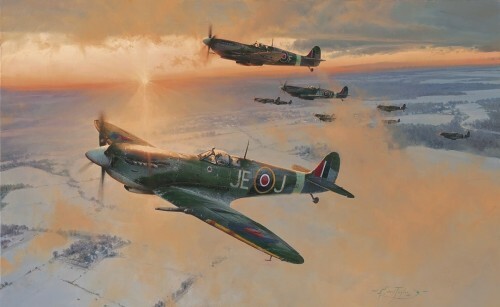 Robert Taylor’s magical English winter landscape welcomes another American Fortress crew home to safety. 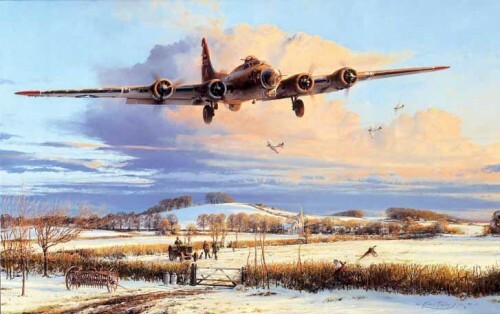 For those on the ground there were few sights more stirring than a B-17 Fortress on its final approach from a combat mission, and Robert Taylor’s outstanding painting Winter’s Welcome is no exception. 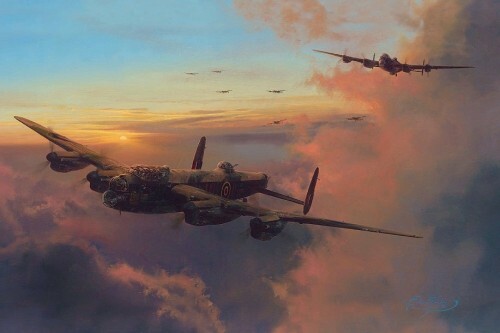 Robert Taylor’s magical English winter landscape welcomes another American Fortress crew home to safety. 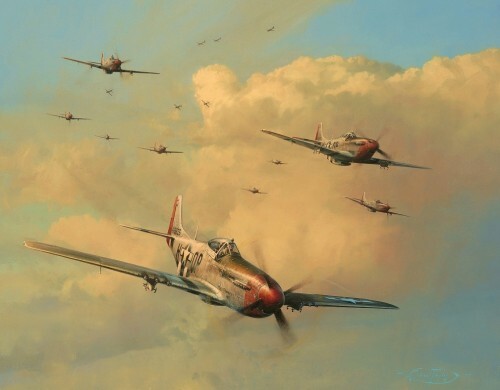 For those on the ground there were few sights more stirring than a B-17 Fortress on its final approach from a combat mission, and Robert Taylor’s outstanding painting Winter’s Welcome is no exception. 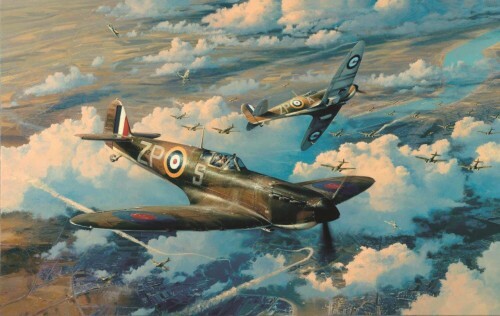 This now legendary image conjures up those exhilarating final moments as an exhausted pilot and his crew bring their mighty warbird safely home to the welcoming winter countryside of East Anglia.